This rattan garden sofa and table set will make a great addition to your outdoor living space. It will add a touch of modern elegance to your patio, balcony or garden with its understated, yet stylish design. Seat set width - 180cm. Pressure treated timber with 4 round corners in dark brown. Metal garden table and two chairs in Green. Condition is Used. Collection in person. Cash on collection preferred.Collection address is on main A386 between Merton and Torrington although we have Okehampton post code. 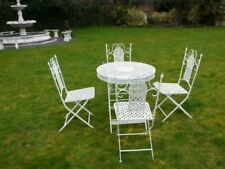 LOVELY WHITE ALUMINIUM SET OF TABLE AND 2 CHAIRS. I HAVE PAINTED IT WHITE AND IT IS IN GOOD CONDITION. - JUST RIGHT FOR THE SUNNY WEATHER WE ARE HAVING. IT IS COLLECTION ONLY FROM LLANDUDNO, NORTH WALES. CASH ON COLLECTION PREFERRED PLEASE. Unused outdoor / indoor furniture. Really unusual design. Very expensive when I bought it. The table and chairs are in Cobham, Surrey. This luxury set is built using weatherproof, hand-woven rattan effect PE material and is available in a choice of colours to suit every taste. The chairs, sofa and table can be easily wiped clean with a soft, damp cloth. Green garden sofa needs re-stringing, very in trend. Length 145 x height 90 cm. Condition is Used. 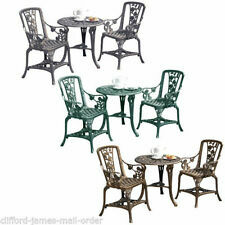 3 Pcs green Garden Round Table and 2 Chairs Bistro Set, Cast Iron Aluminium Furniture. Condition is Used. in need of painting but otherwise in good order not broken just needs some cleaning and paint. Condition is Used b ut i n go od o rd er. T hi s is v er y heavys o pi ck up o nl y it can also be dismantled for easy transport. Ca sh o n collection. The chairs are solid and sturdy and have not required any repairs, they are heavy and comfortable to sit on. Garden patio table and 2 chairs, lightweight aluminium but very sturdy. Good condition, clean, although the wooden table top could do with sanding and re-oiling to be perfect. Ideal for sitting out on a sunny day. hardwood patio set and shade for two. Condition is Used. Flat packs for easy transportation. I have strengthened the top to give extra support for the shade which also has a heavy metal base. Can be painted a different colour. In very good stable condition. It looks like the surface is marked but it is just the sunlight reflecting. Collection only from Astley M29 7DQ. White metal table and two chairs. Garden, patio. Condition is Used. Condition is Used. Collectionf ro m HornchurchRm11. One slab, at the back of the chair need to be changed. Apart of that set is in good condition. Painted by cuprinol garden shades Willow. Collection only from st3, Longton. Premium Quality, P E all weather Rattan, U V treated and fade resistant. 2 X Rattan Chairs( Including cushions). It is ideal for the pool side, deck or patio and many more. This outdoor garden furniture set includes a tempered glass table top. 2 Cast Aluminium garden chairs green colour. Table and 2 chairs. Ideal for garden, patio or balcony. Dining set Table 2Chairs Wooden Bistro Patio Furniture Foldable Outdoor Indoor. Condition is Used will need a repaint or varnish as it’s been out all winter. Will be very nice when done. This model is used for outside seating at cafes everywhere. Turn your garden into an exotic retreat with this unique tiki bar. • Outdoor cover included. • Set includes: 1 bar and 2 matching stools. • Bar: H 205.5cm x W 128.5cm x D 75.5cm. 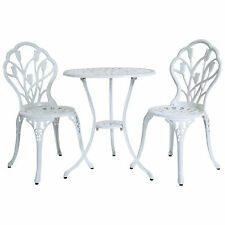 Cast Iron Garden Bistro Set - 2 Foldaway Chairs / 1 Foldaway Table. Condition is Used. Collection in person only. Can arrange delivery for a small fee if you send me a message with your postcode I can quote for this separately. 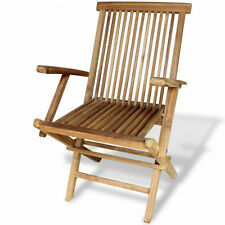 New listingRetro garden furniture set. 2 chairs and table. Metal and canvas. Abingdon. Collection in person only from Abingdon, Oxfordshire. 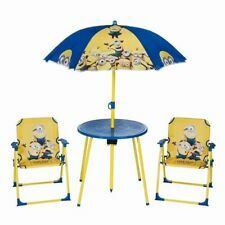 Retro style garden furniture set. With canvas cover in red, yellow and blue stripes. Small, compact and foldable. Garden Bistro Set. Rose pattern table and two chairs - Cast Iron style but PVC so no rust and nice and light. Condition is Used. Please feel free to ask any questions. Read my feedback and buy with confidence! Collection only from Cambridge. Outdoor Garden Table Side Stand Poly Rattan Acacia Wood Tabletop Patio Balcony. 7/14/17/21Pcs Garden Sofa Set Poly Rattan Outdoor Couch Lounge Patio Comfortable. This stylish yet highly comfortable rattan sofa set will be an eye-catcher in your garden or on the patio. Garden Table and 2 Chairs Outdoor Furniture Wood & Metal Set Patio. Condition is Used. Table & 2 folding chairs. Condition is Used for only 1 week so - almost New Condition. Collection in person only. 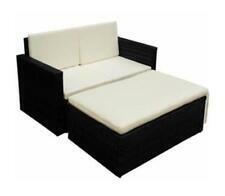 Durable rattan effect furniture set that is tough, weatherproof and low maintenance.